CornerbackDominique Rodgers-Cromartie, a two-time Pro Bowl selection, announced his retirement in an Instagram post Tuesday. 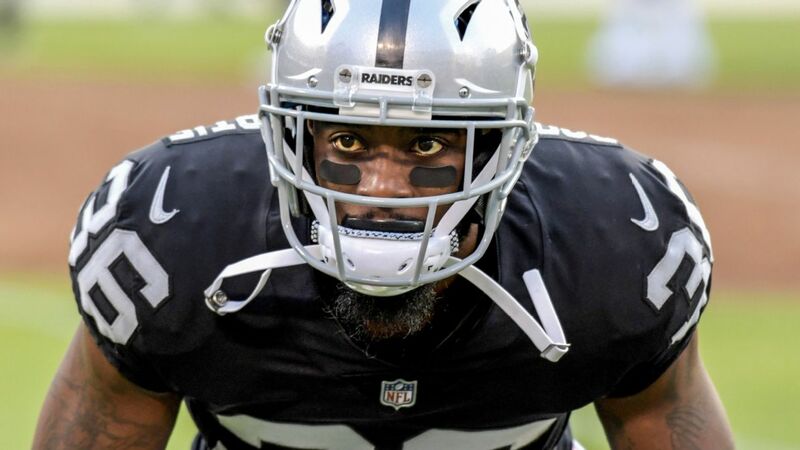 Rodgers-Cromartie, 32, who was playing with theOakland Raidersin his 11th NFL season, said in an Instagram post that he was "at peace with my decision. Y'all may not understand and that's kool!!!" "He's a guy that, he definitely lived the game," the Raiders' Daryl Worley said. "So it was shocking to see him actually do it, no matter how much he talked about it." Though he didn't play a defensive snap in the Raiders' loss to the Coltson Sunday, Rodgers-Cromartie did but take 22 snaps on special teams. He was active for seven games this season,making eight tackles and forcing one fumble. "He's one of the best guys," quarterbackDerek Carrsaid. "... When something like that happens, I'd rather it happen that way than halftime of a game. I understand what he's doing. I understand why. "Coach addressed it with us and he said [to] text him, everyone show him love, congratulate him on a great career.' There's no hard feelings at all." Rodgers-Cromartie is the second NFL cornerback to retire since the start of the season. Vontae Davis of the Buffalo Bills stunned his teammates when he announced his decision at halftime of their Week 2 loss to the Los Angeles Chargers. "Just a shocker to see him gone because he was a great teammate and a great player for us," cornerback Rashaan Melvin said of Rodgers-Cromartie. "He showed us how to cherish the game and approach it the right way. He's always dancing, always rapping, always singing. Just showing his personality no matter what, through the ups and downs." He had played the previous four seasons for the New York Giants, following previous stops with the Denver Broncos, Philadelphia Eagles and Arizona Cardinals. A first-round draft pick of the Cardinals in 2008, Rodgers-Cromartie has 30 career interceptions, though none since his career-high-tying six in 2016, with six career pick-sixes. Last season, he had 48 combined tackles in 15 games for the Giants. He was selected to the Pro Bowl in 2009 and 2015. He made 447 tackles and also forced seven fumbles during his career. ESPN's Paul Gutierrez and The Associated Press contributed to this report.